Cannabis has very few potential side effects – most are THC and dose related and can be avoided by not using more than you need to alleviate your symptoms. Cannabis can be discontinued without weaning. In addition to alleviating pain, cannabis promotes wellbeing and homeostasis, or balance within the body. Cannabis regulates glucose and fat metabolism. Cannabis has been shown to protect both neural and cardiac tissue. It stabilizes and improves mood. It is a potent anti-inflammatory and is the perfect partner to an anti-inflammatory diet. Cannabinoids are substances found only in the cannabis plant. They interact with receptors in the body that are part of the endocannabinoid system. The main cannabinoids, cannabidiol (CBD) and delta-9-tetrahydrocannabinol (THC) share many functions but also differ in what they do. Generally speaking, they function best when they are together. One important aspect of CBD is that it dampens the intoxicating and adverse effects of THC on memory, cognition, and equilibrium. Many patients who do not want to experience the euphoria associated with THC, or who have experienced anxiety with THC use, can reap its healing benefits by using it with CBD. 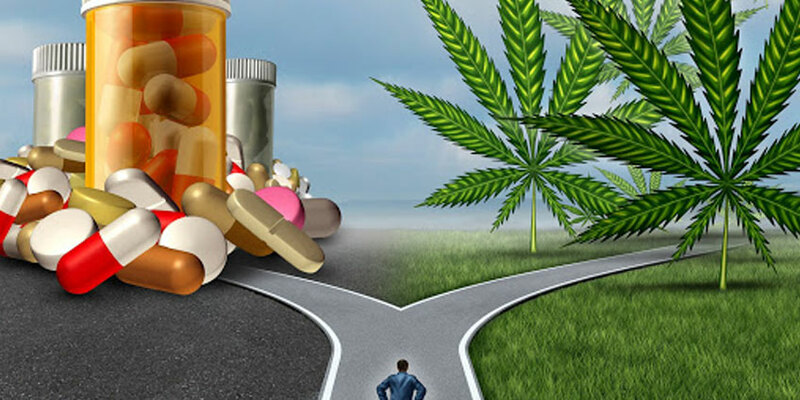 Many patients who have experienced unwanted side effects from pharmaceuticals use cannabis to alleviate their symptoms. While it does not help everyone, 6.5 out of 10 patients will experience relief.